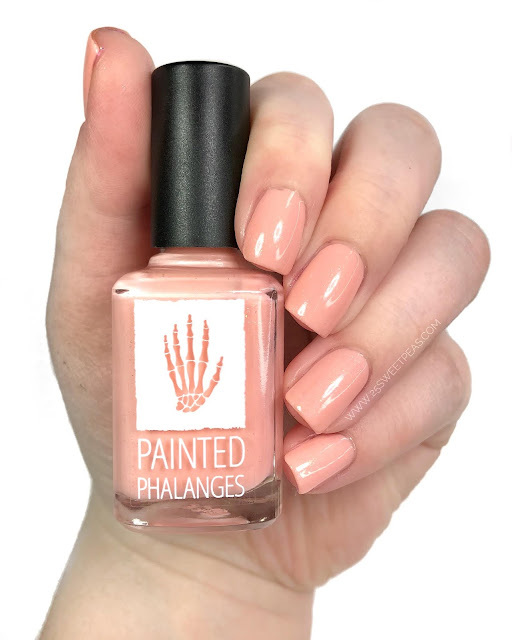 Hello there and welcome to Monday, and to a look at some new upcoming polish from Painted Phalanges! 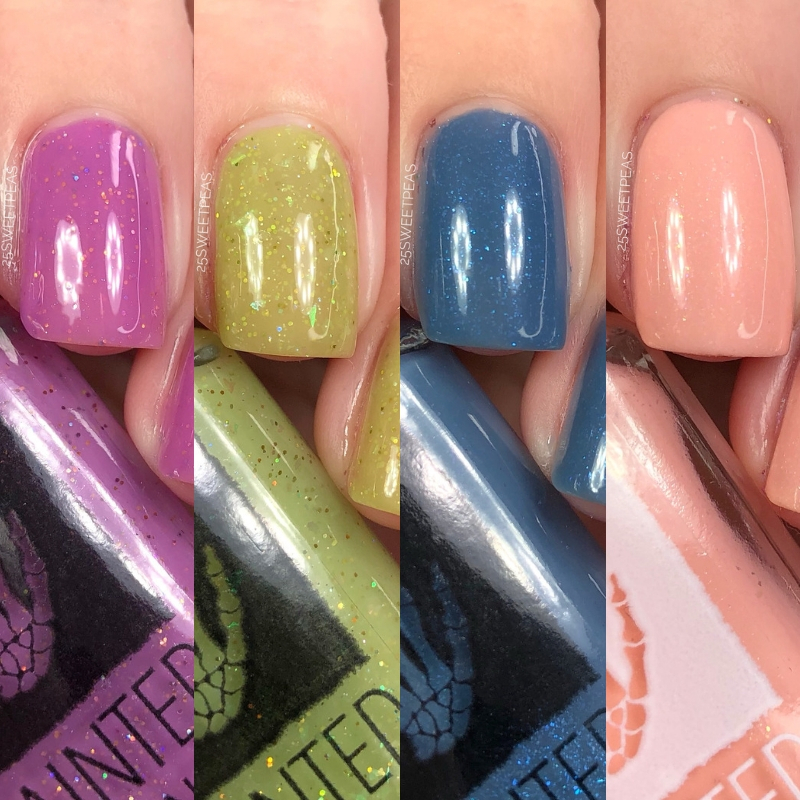 Today I have swatches of a trio and a Limited Edition polish all of which are released on the 15th so lets get into the photos! 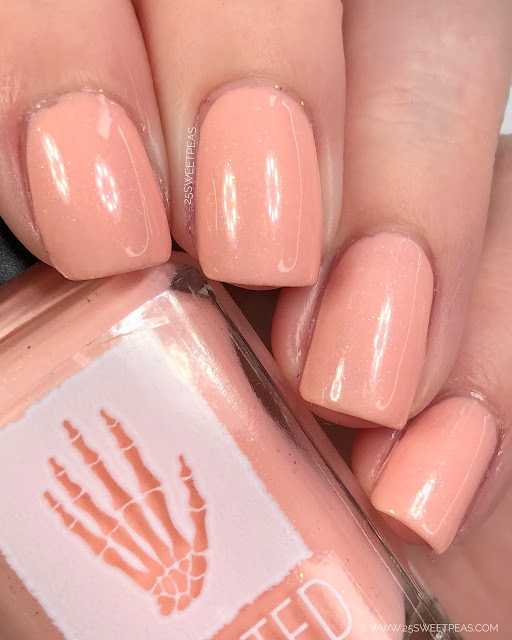 A coral leaning baby pink cream with delicate rainbow flakies and golden shimmer. 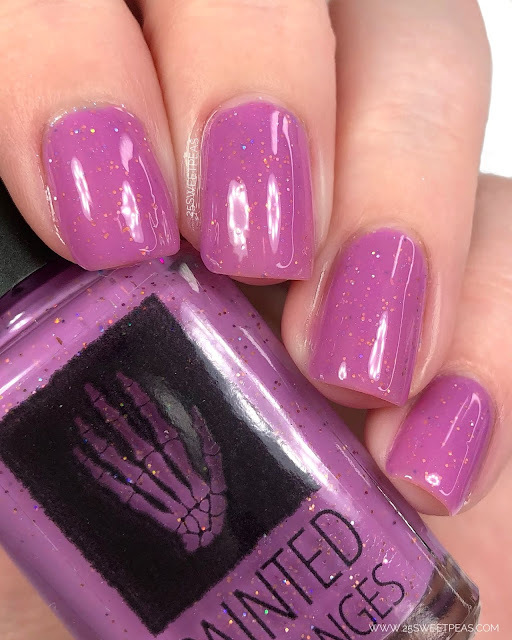 This is the Limited Edition polish that won't be restocked once it sells out. Its such a nice peachy/light coral with a flakie here and there with a warm golden shimmer. This polish is on the thin side so it takes about 3 coats to build it all up. 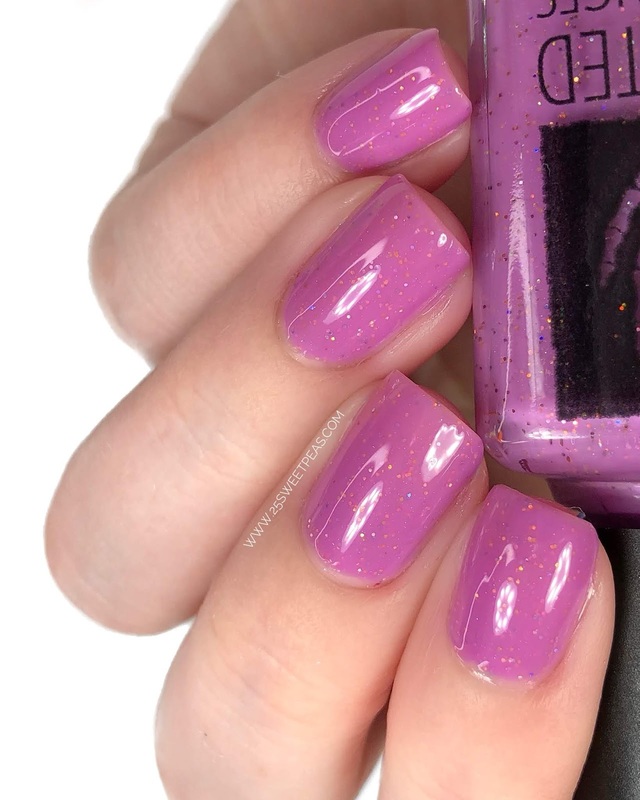 A light fuchsia cream brightened up with multi colored ultra holo micro glitter to catch the light. This is such a great fuchsia leaning a bit more on the purply side. The holo in it really pops as you more your nails around and its perfect! This covered really well in 2 coats. If your nail line is super bold you might need a 3rd but I was content with the 2. 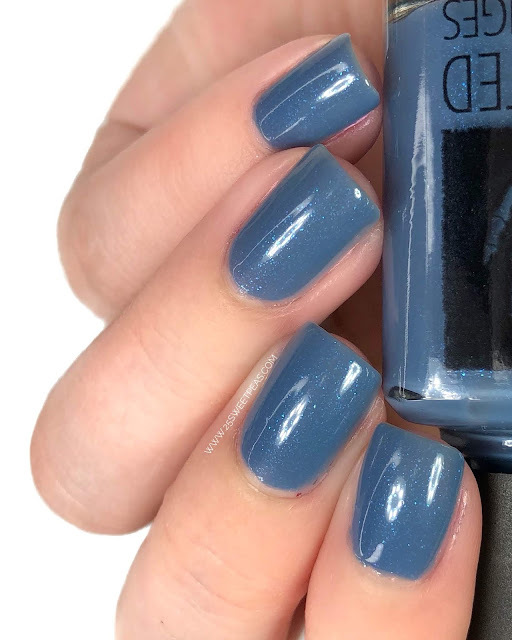 A steel blue creme with a teal/blue/purple multichrome shimmer brightens this polish up and makes it a little bit glowy. 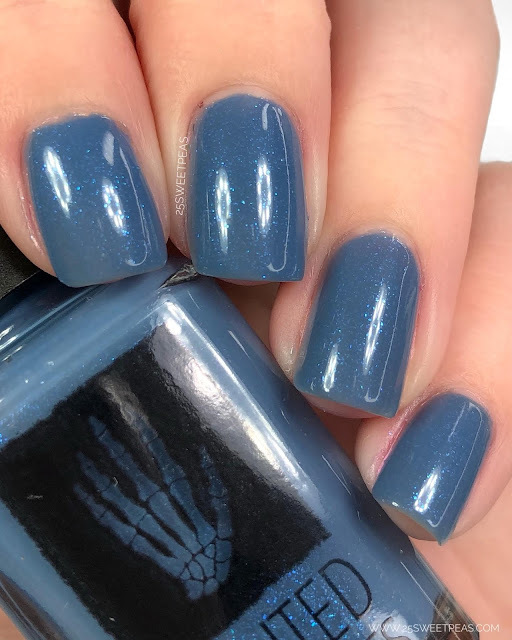 Such a nice steel blue with a subtle shimmer thats really just the finish touch. The formula is really nice, it applies very evenly and takes 2-3 coats. 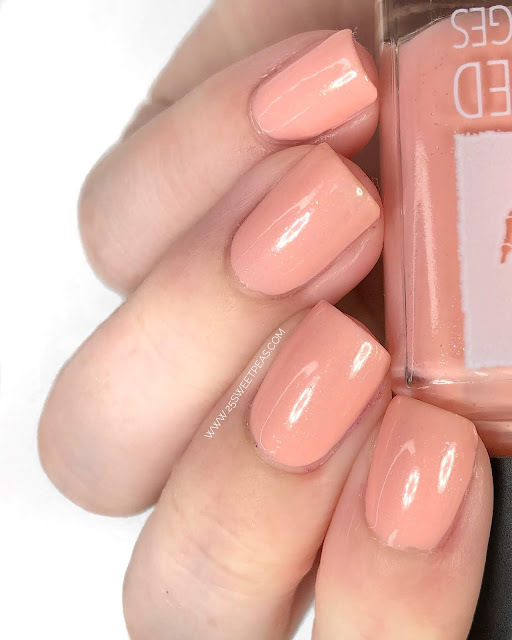 One time wearing it I was perfectly fine with 2 coats, and then another time 3 was perfect. So this one varies a bit. 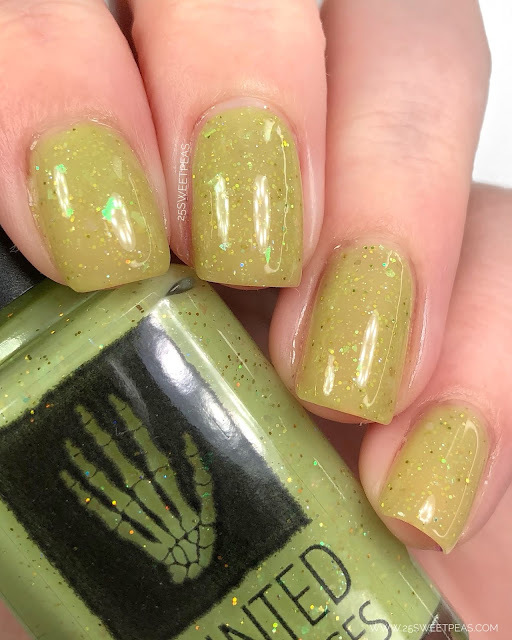 A springy green jelly has blue/green super shifty flakies, lime/gold, gold, and silver holo micro glitter. Such a fun happy spring like green that I am really liking at the moment. This needed about 3 coats, and it was perfect. The flakies in the polish really make it and its such a fun look all layered. I like MC Klap Your Handz best in this post. I don't think it stood out as much to me in your video but it does here. MC Clap Your Handz is my fave - anything purple always catches my eye. All of these colors are great but Born to Sparkle is my favorite! I like The Wizard. 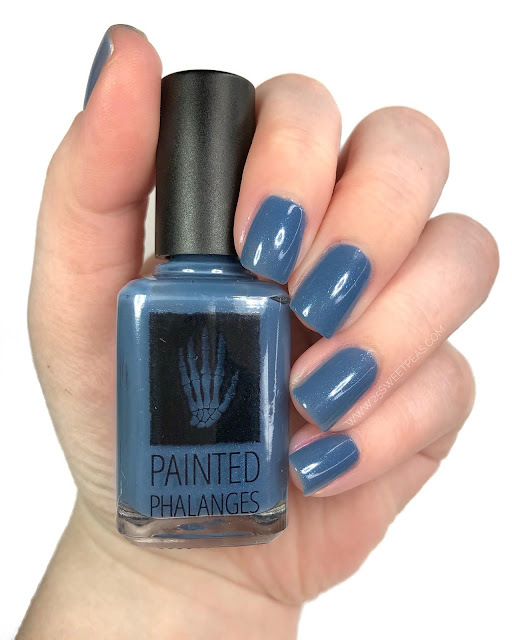 Nice name, great shade, ideal for a Ravenclaw. The Wizard is my favorite! Love how it looks! I love The Wizard! So smokey and reminds me of a spring storm! These are cute! I like the peachy pink and the chatreuse.